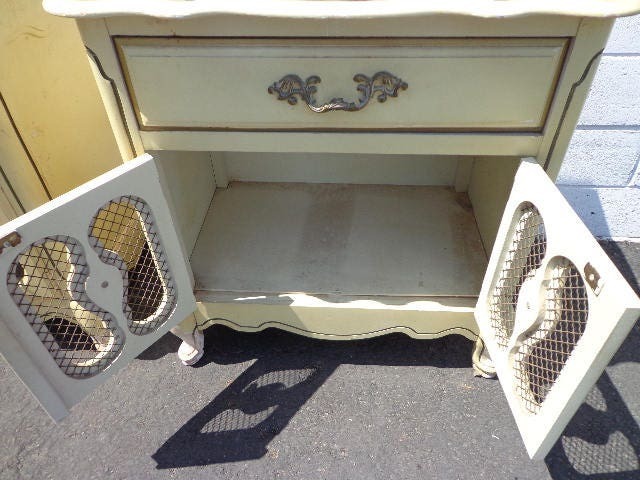 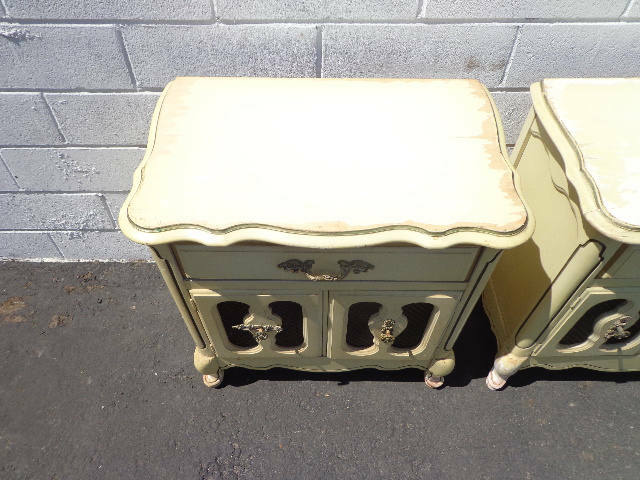 Beautiful set of French Provincial nightstands / bedside tables with ample storage. 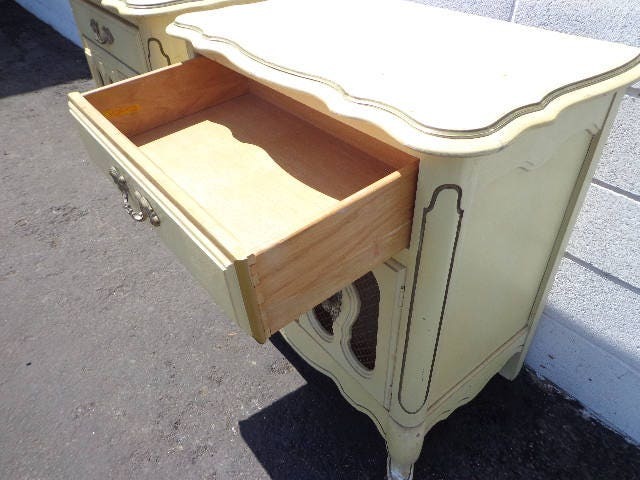 Expertly crafted and very well made in their original finish. 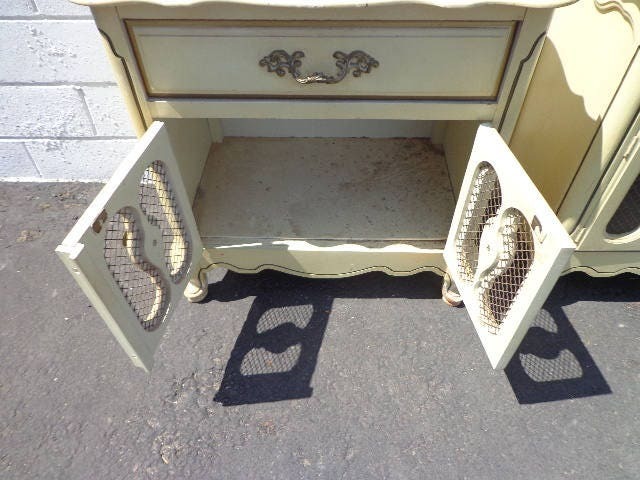 Each side table features a pullout storage drawer and cabinet with metal mesh doors. 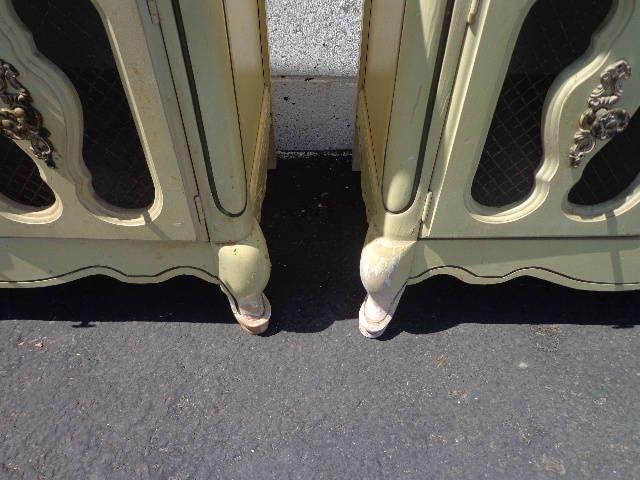 All original hardware is intact and both are structurally solid and sturdy. 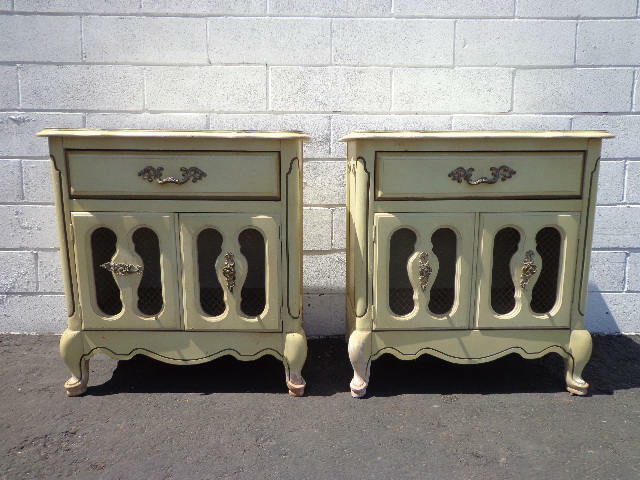 These would be perfect as bedside tables, end tables, accent pieces, anywhere. 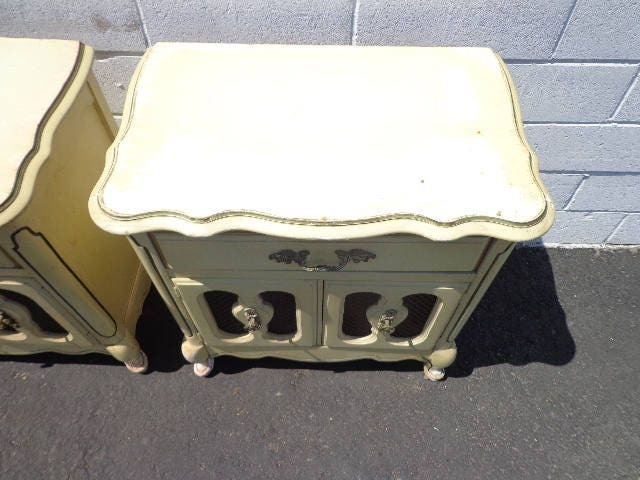 These are vintage pieces and show heavy surface wear from age and use. 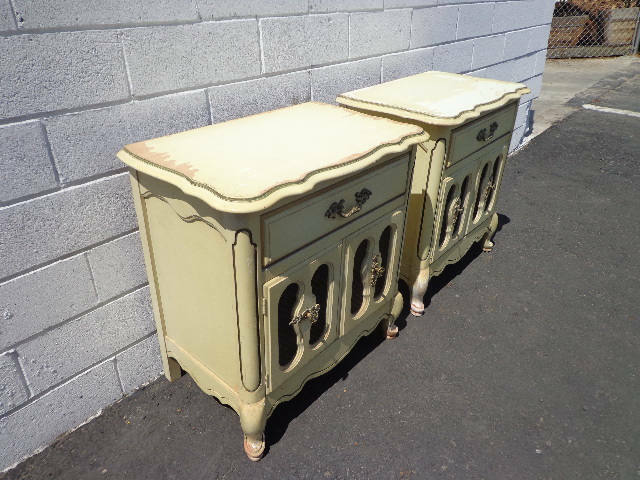 These need to be refinished. 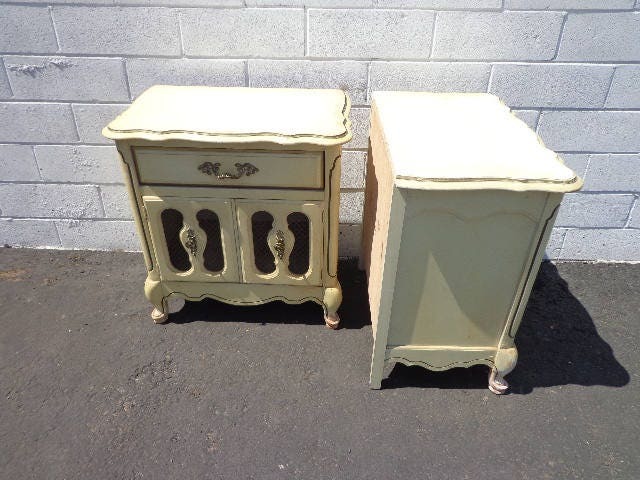 Ideal set to have custom painted, needs refinishing. 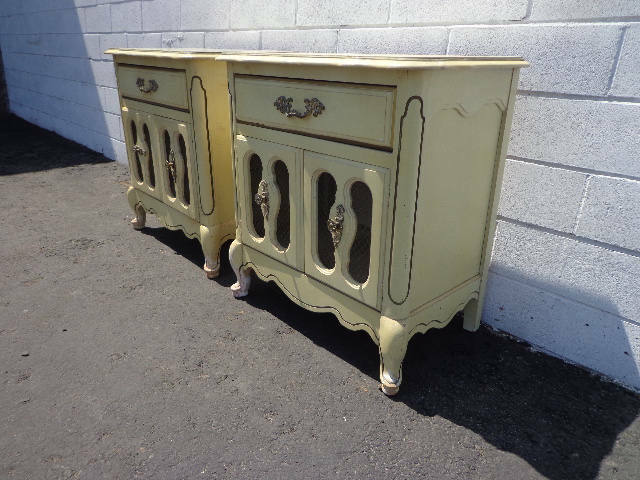 Dimensions: 26 1/2" x 16" x 27"